In this week’s episode, Robert and I discuss Dave Winer’s concerns about Medium as a publishing platform. We agree with his thinking, but envision one scenario where it could make sense as a publishing platform for marketers. Next, we share our takes on a new Forbes Insights/PwC study that says content marketers are still struggling with content personalization. Finally, we agree that the Guardian’s decision to rename its native advertising and sponsored content is much ado about nothing; customers will still be confused. Rants and raves include an article about the crucial elements of customer experience and Joe’s growing frustration with pundits who criticize content marketing but don’t offer alternatives to it. We wrap up the show with an example from Chief Optimist by Xerox. Anywhere but Medium (5:43): Medium is on its way to becoming the consensus platform for writing on the web. That bothers Dave Winer of Scripting.com because it means you’re putting your thought leadership content in the hands of a startup company that could pivot at any time leaving your content behind. He strongly believes that it should be published on open platforms. Robert and I agree that brands should view Medium and other online platforms as secondary channels for their content, not the only place they publish it. We also discuss one scenario where it could make a lot of sense as a lead-generation tool. Most organizations still struggle to deliver personalized content, says Forbes Insights/PwC report (18:46): A new Forbes Insights/PwC study says most companies are still at the early stages of delivering personalized, content-based experiences to customers. I love what it says about the ways in which companies are justifying their investments in content marketing. I also share one key question that organizations need to ask about themselves and their customers. Robert loves the pivotal role of customer data this report describes. He characterizes content marketing as the “engine” that drives the aggregation of customer data. The Guardian is now calling native ads paid content (26:39): The Guardian recently announced some tweaks to how it labels both its native advertising and sponsored content. Content paid for and controlled by advertisers will now be labeled as “paid content” or “paid for by.” Independent content funded by sponsors but created by Guardian reporters will be labeled with a “supported by” tag. 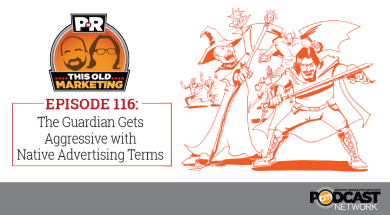 Robert and I agree that it doesn’t matter what publishers call it – all of these terms remain very confusing to consumers. Robert’s raves: Robert loves this article on Diginomica, in which Co-founder Jon Reed talks about the need to build an audience via an exceptional user experience, fueled by outstanding content and distribution, plus a well-honed opt-in strategy. Joe’s rant: I’m getting increasingly frustrated by critics who say that it’s not good for brands to communicate directly with their customers. They should stop creating all of this content themselves and go back to communicating via media companies. I don’t understand where this argument is coming from. 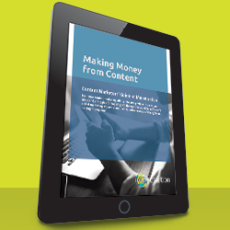 Inevitably, these articles never offer a more efficient and effective alternative; they apparently just like throwing rocks at the practice of content marketing. Chief Optimist by Xerox: When the marketing team at Xerox was looking for a way to differentiate its messaging from its numerous competitors, the big, audacious idea it came up with was optimism. It started a biweekly email campaign targeted to CIOs called Get Optimistic, which provided a look at the future of technology, business, and the world through an optimistic lens. This e-newsletter quickly grew in popularity, which led the marketing team to expand it into a content plaform several years later. 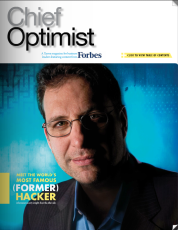 As a result, the Chief Optimist magazine was launched in both print and digital formats in 2012, produced in partnership with Forbes. Xerox now mails this glossy magazine to its top prospects and has become an incredibly effective business development tool: It has generated over 1,000 new sales appointments and more than $1 billion in pipeline revenue. Chief Optimist is an excellent example of using content to build awareness and demand generation, and it is a perfect example of #ThisOldMarketing.